The Akron Zoo will turn in to a one-mile walking path for families and friends of Akron Children’s on Sept. 22 when the 7th annual Walk for Babies takes place. 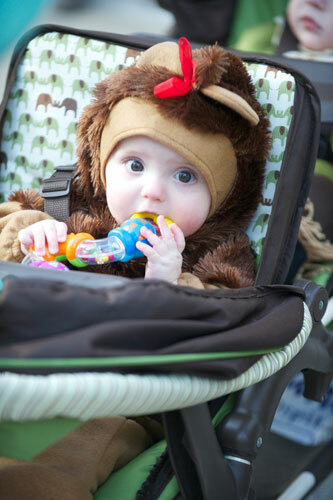 The family-friendly walk is a reunion of sorts, as most of the walkers have been treated or know someone who has been a patient in the Neonatal Intensive Care Unit (NICU) at Akron Children’s. “It’s really a homecoming for NICU families and staff to say thank you,” said event founder, Sam Snellenberger. Sam and his wife, Shelby, founded the Walk for Babies after their daughter, Amelia, spent the first 26 days of her life in the NICU. The Snellenbergers were so grateful for the care Amelia received that they set a goal to raise $1 million for the NICU. Since it began, the event has raised $400,000. “Walk for Babies is a wonderful way to give back to the NICU and a hospital that does such a wonderful job here in Akron,” said Snellenberger. Last year, more than 1,500 participants attended the event which also features a raffle, refreshments, family-friendly activities and give-a-ways for the kids. On-site registration begins at 8 a.m., with the walk starting at 9 a.m. Community members can register for the walk, learn more about the event, or donate at www.walk4babies.com.